Well, I hope that you are all enjoying the school holidays and great to have the Easter break to look forward to this weekend. If the kids are driving you nuts, or the weather isn’t what it could be, I have a little project that you can do with them. 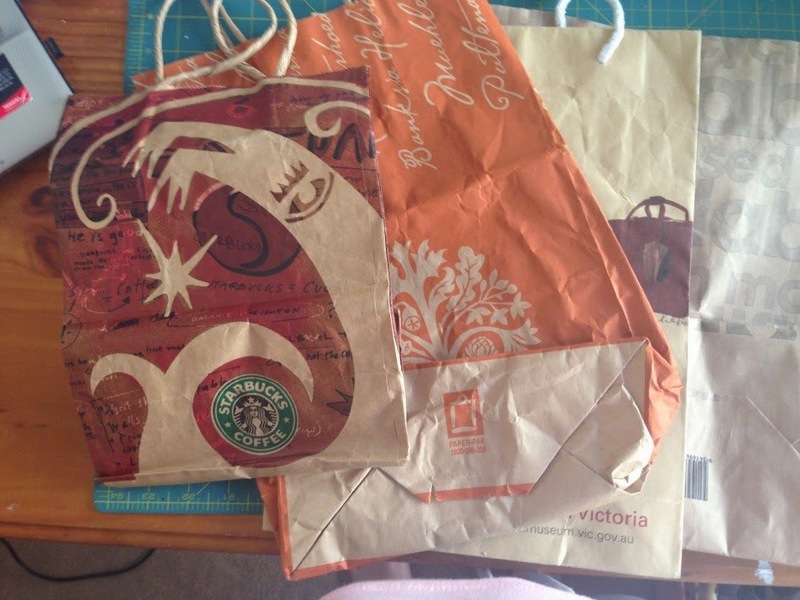 If you are like me, you collect brown paper shopping bags – I just can’t seem to throw them away because, you know, they might come in handy, recycling etc, etc. 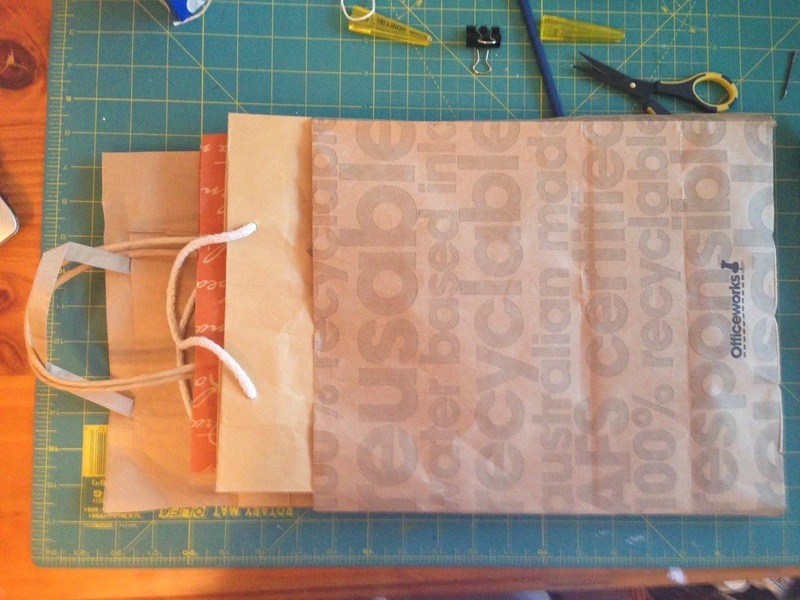 This project uses paper shopping bags that are different sizes (bonus if they come with pretty patterns), to make a paperbag journal that the kids can go mad in with paint. As an added bonus, this project uses supplies that you should have lying around the house. 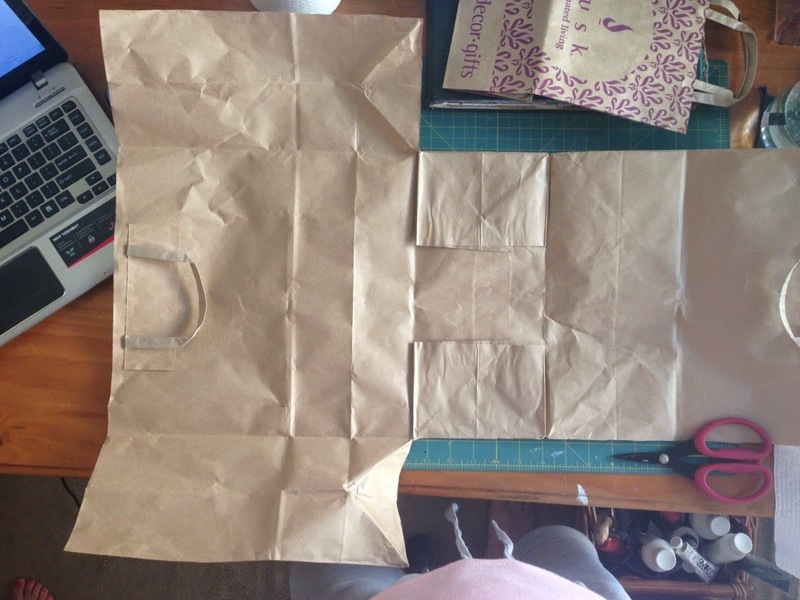 · Paper bags – I used 4, but you can use as many as you like. 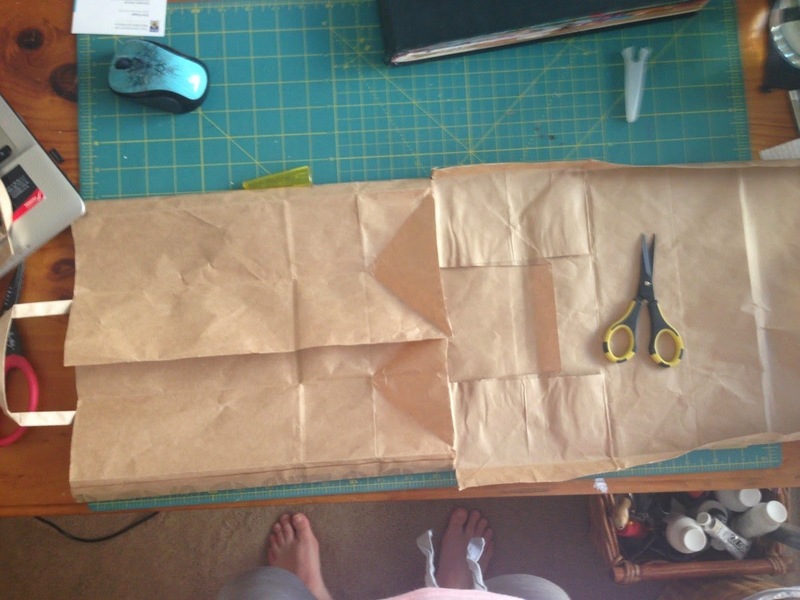 Take the largest bag as this will be the cover, a cut to be flat as follows. 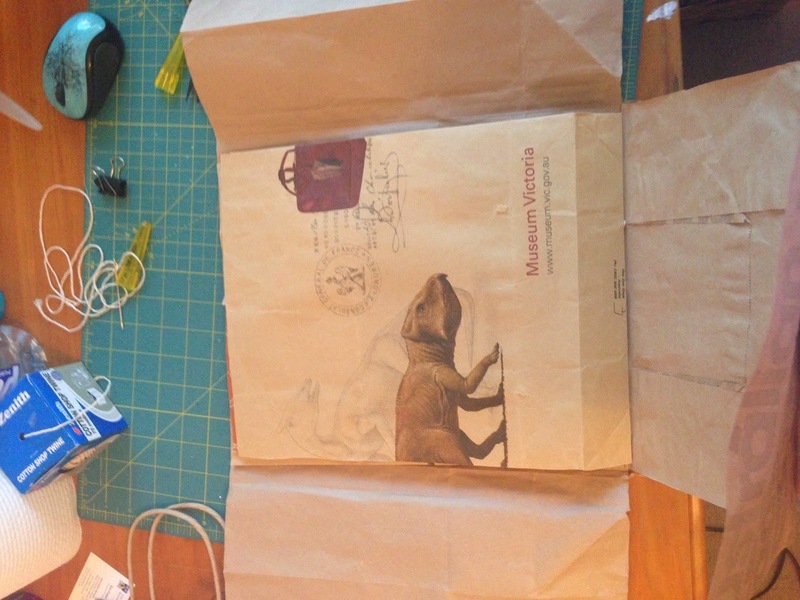 Please note that the sides of the bag will become the front flaps / cover of the journal. 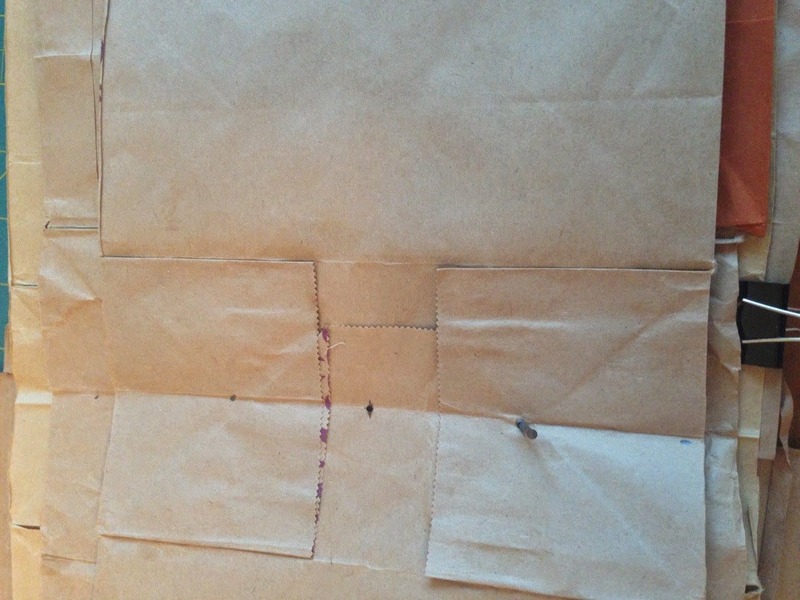 Fold the edges of the bag so that the sides slighty overlap at the front, and snip the bottom edges(where circled) to ensure that the covers can open and close completely. Score folds. 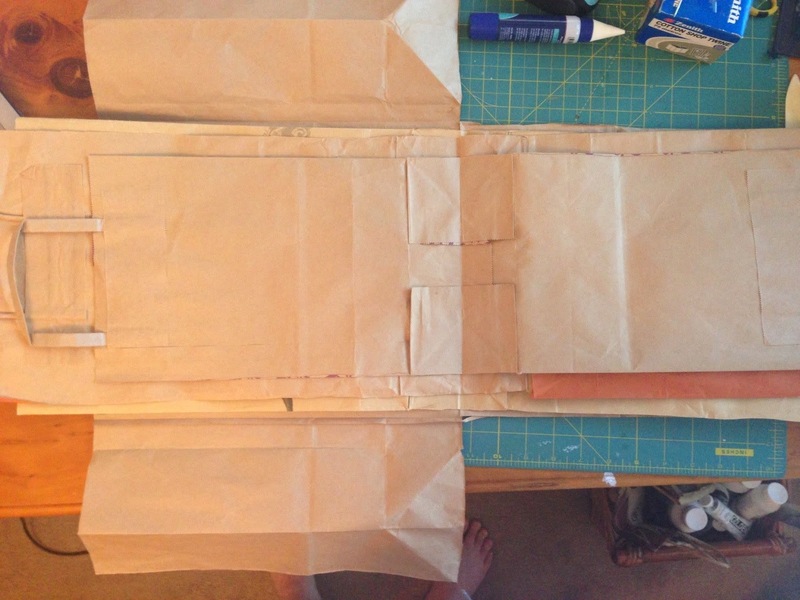 Cut the bags along the fold lines to separate the covers and sides. Do not cut the bottom of the bag. 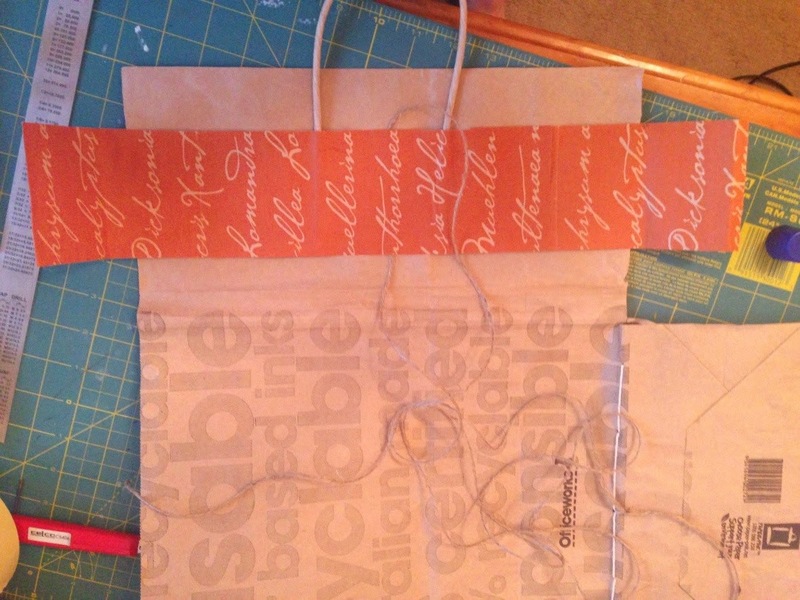 In this instance have both the sides attached to the “back” part of the paperbag, but you can also trim so that the front and back each have a side attached. These “sides” become fold-out flaps on pages that add interest, and additional areas on which to paint in the journal. 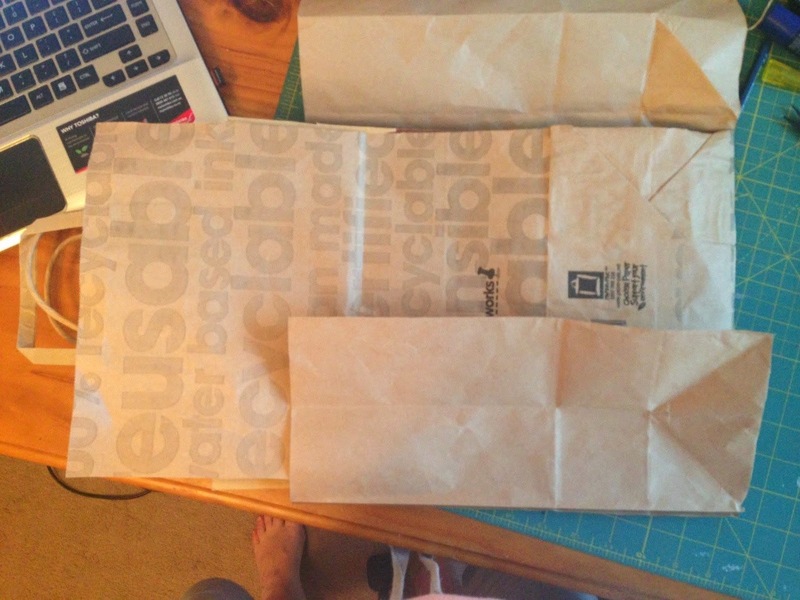 Fold the bag so that the top edges of the front and back pieces of the bag meet – this means that the bottom of the bag is folded in the middle lengthways. Score, or if very creased give it a press with a dry iron. Glue down any of the internal fold flaps that might be sticking up. Arrange the prepared bags in the order that you want them in the journal cover, laying them all out flat, with the score lines meeting at the bottom. This will become the “spine’ of the journal. Once happy with your arrangement, secure them all with a bulldog clip. We need to make 5 holes along the spine to bind the journal pages together. Measure between the edges of the journal covers and mark the centre. Mark 2 holes either side of the centre mark roughly equidistant from the centre (in my case I was able to do 5 & 10cm from the centre mark, but this is dependant on the size of the paperbag you have used for your cover). 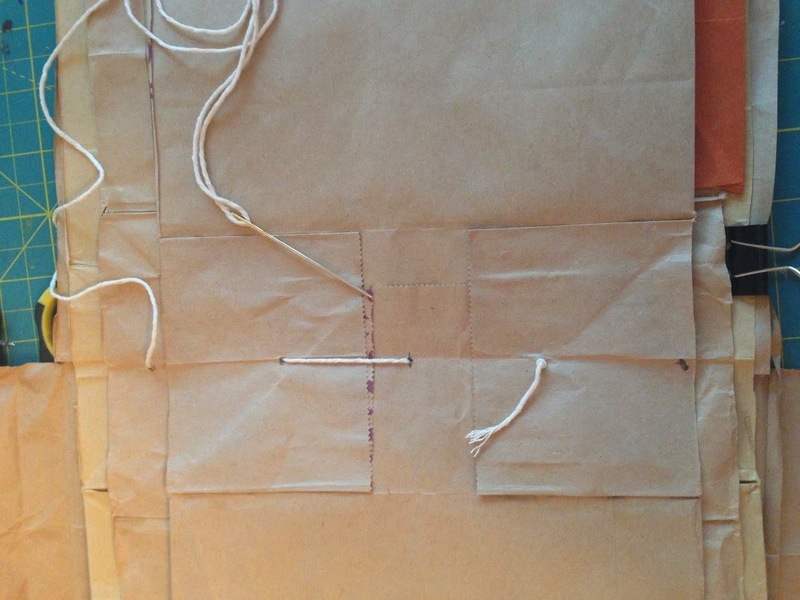 Use your pokey-tool to pierce holes on your marks through all the paperbags. Tie a knot in your twine, leaving a long tail. Starting from the second hole on the inside of the journal spine run twine through the spine, come back through the middle hole. Repeat to the last hole on the far side from where you started. Your twine will now be on the inside of the spine. 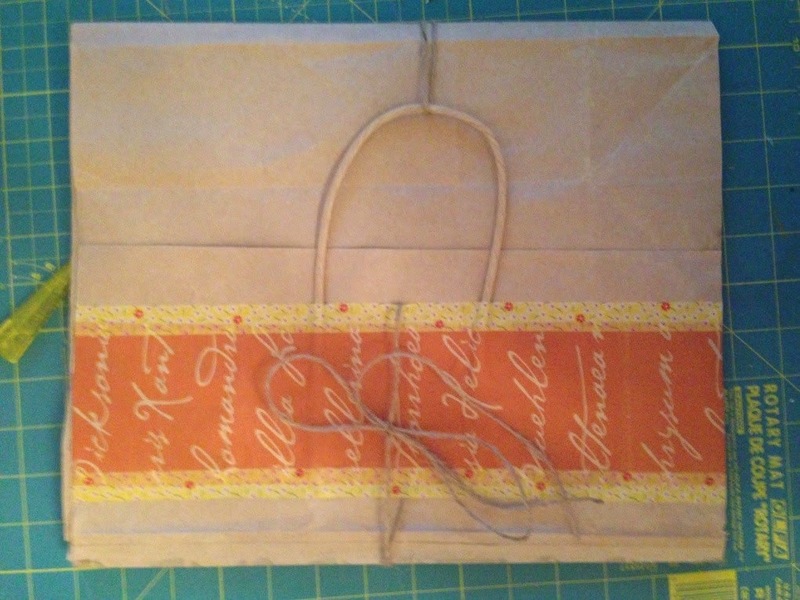 Fold your journal signature back over and score heavily, ready to trim the bag handles off completely. Turn the journal so that the back is facing upwards. Mark against the top edge and trim. This is how your journal now looks right way up with the inside covers open! 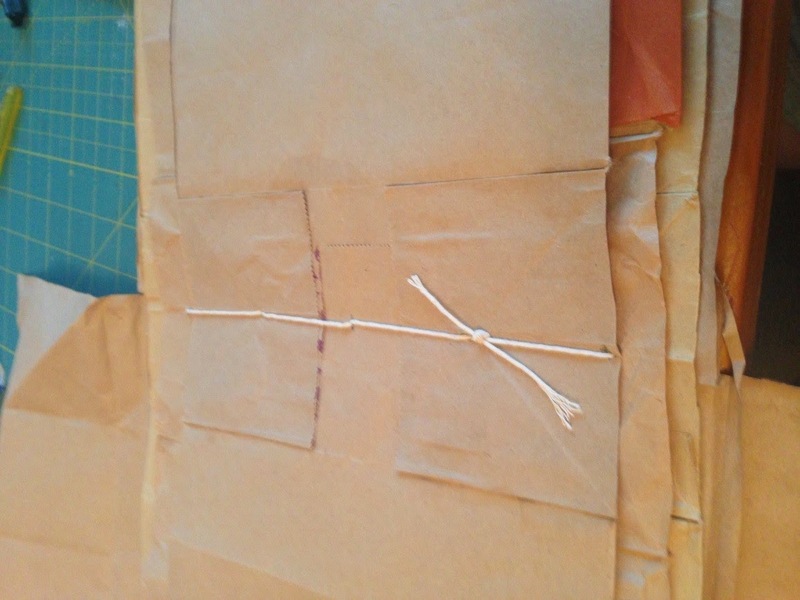 To decorate the cover and create a closing mechanism, cut a piece of twine long enough to go around your journal 3 times + a little bit to spare. Take one of the handles / paper bag tops that you cut off in the previous step. 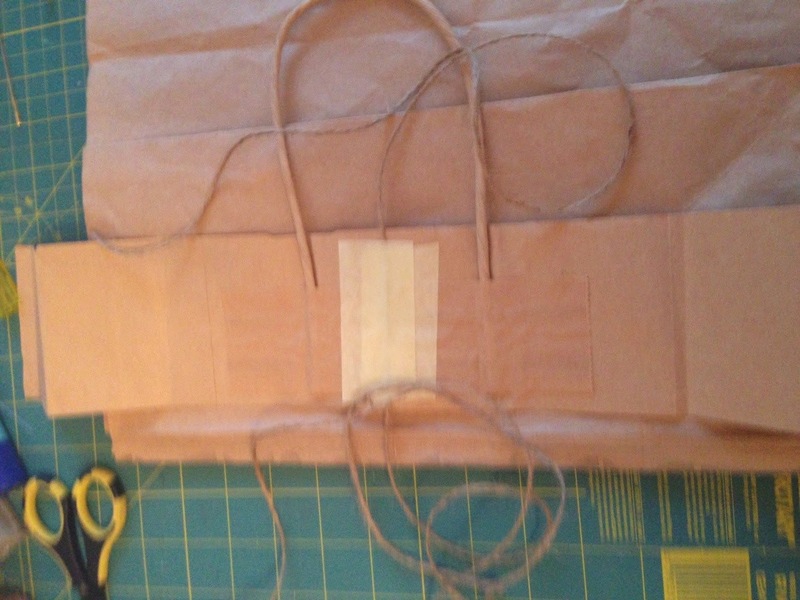 Secure the twine to the back of the handle with masking tape, so that approximately 40cm of twine is sticking out on the handle side of the paperbag top. 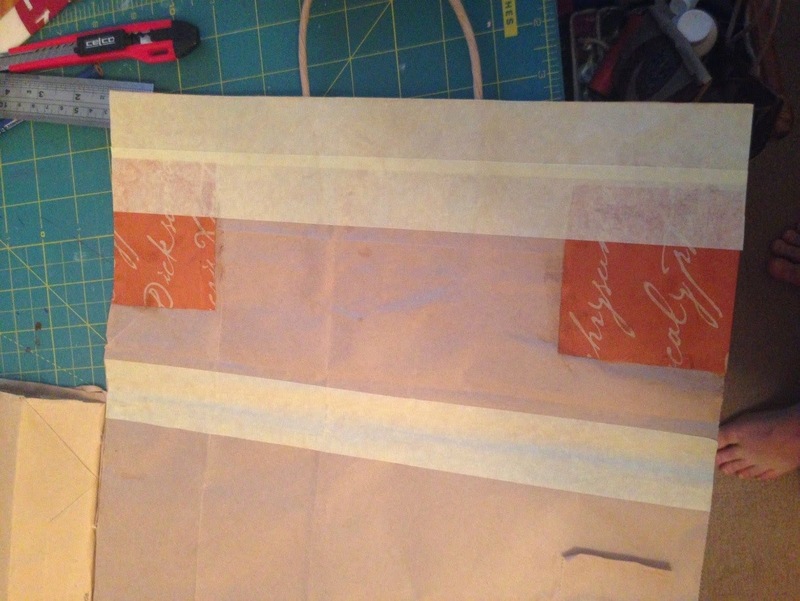 Glue the paperbag top to the left hand flap of the journal cover, ensuring that the handle is facing to the right. Fold over any excess and secure on the inside. Add washi tape to hide any uneven cuts. 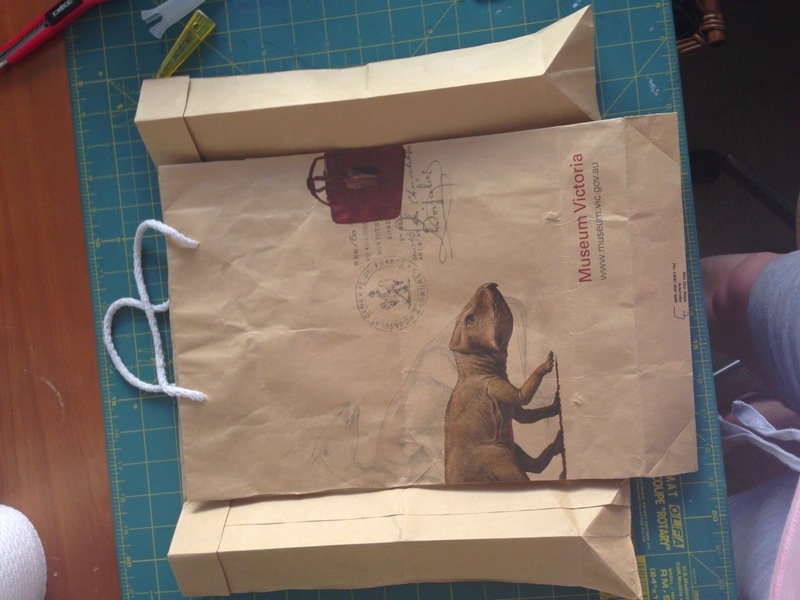 Reinforce both the inside covers with masking tape. I reinforced the outside edges, and the folds. To close the journal, run the longer piece of twine around the back of the journal to the other side of the cover, loop through the handle and back around again to the front. Tie twine in a bow at the front with the 40cm overhang piece. Leave the journal under some heavy books for a few hours for the glue to completely dry and to flatten the journal. Then you and the kids are ready to paint away. Boys look good in pink !